I couldn’t surf the net on my toilet and that is unacceptable. Searching some forums i realized that Mediacom 910i and Teclast A10T are pretty much the same stuff and that the rear case of the device may be the problem; it is made of aluminium and the internal antenna is suffering this. Insipired by some tests made by the users of androidiani forum and tablet republic i decided to turn apart my tablet to fix the wifi and finally “read the paper” in the appropriate room. 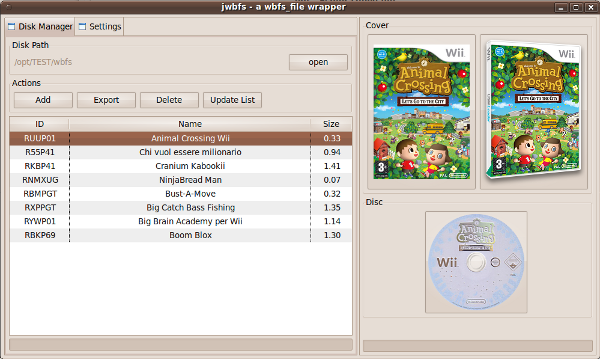 By lmaz|jwbfs, Open Source, Projects|Be the first to comment! Basically i just added the icon creation for - lazy like me - linux users and re-worked the update method as a RCP handler. for any bug please go on issues page. By lmaz|How-To, Open Source|Be the first to comment! PulseAudio is a nice thing but has some issues. My soundcard can’t use the passthrough if pulseaudio is enabled. All i can do is as a 2 channel downmix (too bad for a Media Center). Since pasuspender don’t work for me, i could not find a better solution than create a script witch kills PA, add a flag to .pulse/client.conf to disable autorespawn, opens a specified program and wait until you close it. Than remove autorespawn flag and relaunch Pulseaudio. Now my HTPC says thanks and me too: i can finally play wine games without audio lag. By lmaz|Games, How-To, Open Source|Be the first to comment! However if you own a decent card …cough…nvidia…cough…your experience with gaming on linux may be better. 1) Mouse pointer visible in all game windows. 2) Random Lag/temporary freeze of sound/video in game. I created a little guide to install via deb file. On some optware systems transmission randomly crashes due old version of libevent installed. L’influenza intestinale porta noia e la noia porta aggiornamenti. Erano mesi che mi riproponevo di dare una botta di spugna su questa applicazione. Finalmente ho trovato il tempo per “disaccoppiare” un po delle porcate che ci avevo scritto e visto che c’ero, ho aggiunto il meccanismo di update nativo di Eclipse RCP, in modo da poter gestire meglio la risoluzione dei futuri bug. Link al sito per il download (win, linux, mac). By lmaz|Il bel paese, Real Life|Be the first to comment! Nel tentativo di registrazione al bancoposta click la mia dolce “tre quarti” ha incontrato delle difficoltà. Essendo lei già presente nel db delle poste, i suoi dati anagrafici sono stati agganciati, presentandole la finestra già compilata. Ticket aperto presso le poste. Risultato: 20 giorni di inutile attesa. With Ubuntu 10.10 due to some changes to lirc and its modules, my harmony remote (with MCE codes) stopped to work with lirc_imon module.